Roxburgh is a stunningly beautiful fruit growing hub and recreational paradise. Roxburgh is 30 minutes south of Alexandra in the Teviot Valley. 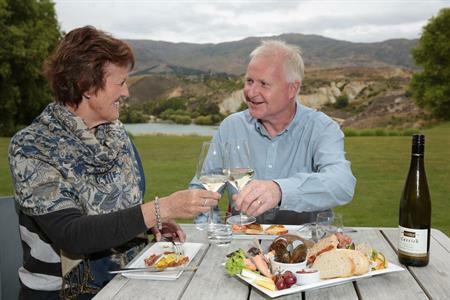 It is flanked by rocky, tussock-clad high country and nestled on the mighty Clutha River. The Old Man Range and Mount Benger to the west are magnificent especially with a dusting of snow. The valley always looks spectacular whether in full spring blossom or blanketed in autumn’s golden and red hues. 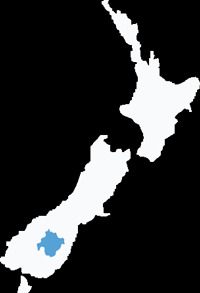 In the 1860s, gold miners ventured into the area and large dredging operations were soon in progress along the Clutha River. Roxburgh’s thriving fruit industry began in 1866 and now orchards welcome you to pick fruit straight from the tree or to purchase from roadside stalls. Lake Onslow, the source of the Teviot River, is a spectacular drive inland to the east through rugged farm land. Take a swim or enter the Lake Onslow fishing competition. North of Roxburgh is the awesome Roxburgh Hydro Dam, lake and village. Built in the 1950s, the resulting lake has outstanding fishing and recreation opportunities. Trees surround a tranquil camping area and swimming spot at Pinders Pond on the east side of the Clutha River, just south of Roxburgh. The Teviot Museum provides a full journey into the area’s history and dam building period. A pleasant walk around the main township exposes historical buildings, art galleries, cafes and restaurants. Enjoy one of New Zealand's 'world famous' Jimmy’s pies and visit the children’s playground opposite. 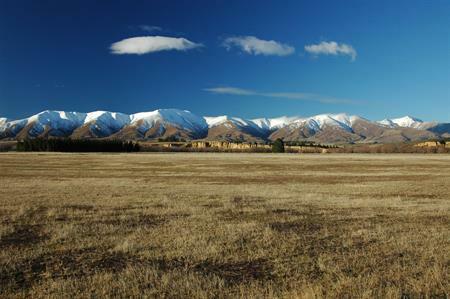 Roxburgh is an excellent base for walking, four wheel drive and Central Otago cycle trails. An extensive brochure is available to guide you to lookouts, dam and mining interpretations, high country views, bridge crossings and picnic spots. With an outstanding natural golf course, several town mini walks and stunning vistas Roxburgh is not to be missed.